I was fiddling around Facebook the other day, and a post from Clary Sage Organics appeared on my newsfeed and caught my eye. "Oh la la, what beautiful packaging!" I exclaimed. 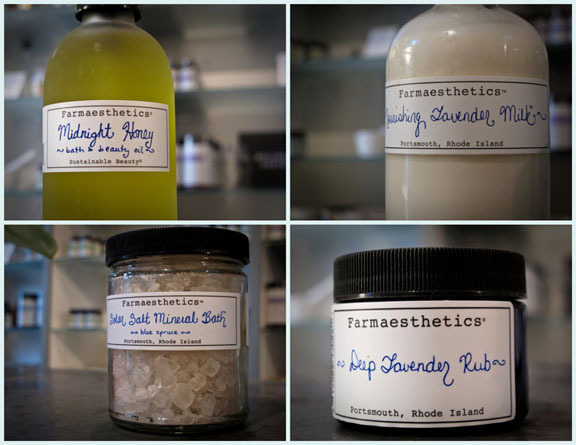 The brand I was eyeing: Farmaesthetics. I perused the selection at Clary Sage Organics' website, and gathered that Farmaesthetics is an all-natural skincare line that has built a reputation around not just what they put in their elixirs but also what they leave out. All Farmaesthetic potions are 100% chemical-free and sourced from organically grown herbs and flowers gathered from small American family farms—no nasty dyes, fillers, parabens, or other synthetic ingredients...yippeeee!!! I have my eye on that Midnight Honey Beauty Oil...I bet it smells amazing. Have any of you tried this line before? Would love to hear your thoughts if so! 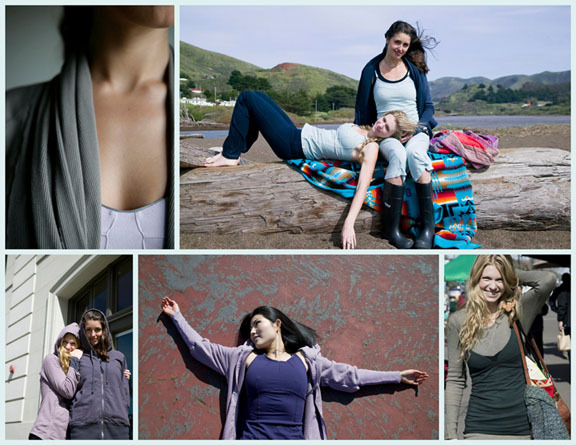 I was then messaged by a fab gal from Clary Sage Organics, a super cool company based out of San Francisco that makes gorgeous 100% organic or ecologically sustainable gear ranging from apparel, beauty products, and medicinal teas. Their store serves as a center for holistic wellness, empowering people to live healthy, thoughtful, and ecologically responsible lives. They aren't messing around either...they really do offer a fab selection of eco-finds that I am swooning over! That crossover tank in the bottom right photo is particularly awesome...the cut is perfect and so versatile. And just because it is the season of giving and the ladies behind Clary Sage Organics rock, they are offering 20% off in-store purchases...just mention you saw this post on Triple Max Tons. 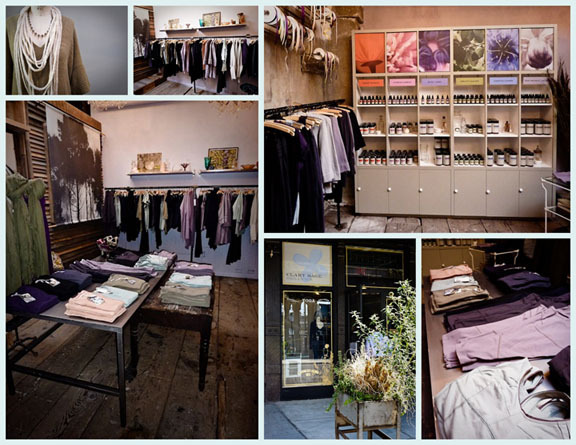 Going to check out the beautiful interiors alone is enough reason to go, not to mention perusing the racks of Clary Sage Organics apparel, Chan Luu, Earnest Sewn, Adie + George, and more! hiiiii!!! your blog is purty. i have tried farmaesthetics. they have a milk something scrub...great stuff but if you leave it in your shower and the interior gets slightly wet....it sours. just like milk. overall though a great product. Excellent products. Favorites are Cleanser, Sweet Lavender Milk lotion and new Complexion Conserve. Liquid gold. Can't get enough of this brand!